Brandauer, which employs 60 people at its base in Birmingham, has secured a £1m order to supply a bi-metal lead frame to KSR International and, in order to satisfy exacting accuracy and quality, has invested £200,000 into state-of-the-art non-contact measurement capabilities. 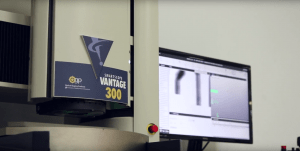 This involved the recent installation of two OGP SmartScope Vantage 300s, which – through their multi-sensor technology – provide the ability to measure and report geometric dimension and tolerancing (GD&T) and guarantee repeatable precision in high volumes. “Our customers choose us because we supply complex components to micron tolerances and OGP’s technology gives us a real competitive advantage,” explained Rowan Crozier, CEO of Brandauer. “The KSR International contract is a fantastic example of two businesses working together to deliver a solution to one of the world’s largest carmakers. Both parties have a clear understanding of what is expected and this led to the joint decision to house the Vantage 300s at our site in Birmingham. Established in 1946, KSR International is an industry leader in the design, engineering and manufacture of products for the automotive sector, including sensors, electronic throttle controls and steering control units. 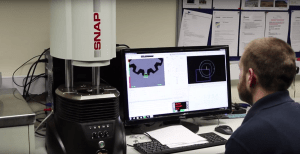 “Brandauer, on our behalf, purchased two OGP Vantage machines to ensure product precision was consistent. It was critical that we had a non-contact optical system that would integrate all of the measurement requirements necessary of a tier 2 automotive manufacturer,” added Gareth Stevens, Quality Manager at KSR. OGP UK helped Brandauer and KSR throughout the installation process and provided dedicated on-site training, support and programming to ensure full implementation was achieved in the shortest time possible. This enabled both businesses to seamlessly replace existing contact measuring methods quickly and efficiently with significant efficiency improvements and long-term cost savings. Brandauer’s journey into pressed metal and stamped components began in 1862 when Charles Brandauer took on his father-in-law’s pen manufacturing and distribution business. Today, the company produces high volume, precision components for customers involved in automotive, electronics, medical, healthcare, construction and renewable energy sectors. It also offers a wide variety of added value services, from prototyping and design through to in-house tool production and specialist tool transfers.